﻿The Whitworth Hawaiian Club, Na Pu'uwai o Hawai'i (The Heart of Hawai'i), will share food and culture with the Whitworth and Spokane communities during the club's 41st annual Lu'au on Saturday, April 16. This year's theme is "Sail the Seas." The menu will include chow mein, teriyaki beef, shoyu chicken, kalua pig, macaroni salad, green salad, sweet potato, poi, haupia and upside down pineapple cake. The entertainment portion of the program will feature a local band, new Hawaiian dances and a raffle. 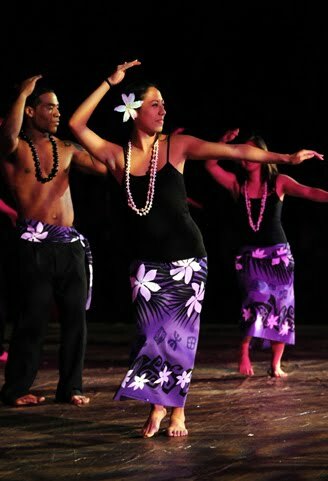 "This year's Lu'au is going to be great because we are going to have good food, great entertainment and great new dances,” says Stacey Martin, Hawaiian Club president. "People attend year after year because of the authenticity of our Lu’au and because it is an event that helps spread the Hawaiian spirit and aloha to the Spokane and Whitworth communities." When: Saturday, April 16. Doors open and dinner begins at 5:30 p.m.; entertainment will begin at 7 p.m.
Where: Whitworth Fieldhouse, 300 W. Hawthorne Road, Spokane, Wash.
Tickets: $20 general admission; $15 students with I.D. ; $10 children ages 6-12; children 5 and under admitted free. To purchase tickets: Tickets will be available for purchase beginning Monday, April 4, at the information desk in the Hixson Union Building (HUB) at Whitworth University. The desk is open Sunday-Thursday, 9 a.m.-11 p.m., and Friday-Saturday, 9 a.m.-10 p.m. The Hawaiian Club also will be selling tickets at a table in the HUB April 4-8 and April 11-15 during lunch (11:30 a.m.-1 p.m.) and dinner (5-6:30 p.m.). Tickets are sold on a first-come, first-served basis. For ticket information, call the information desk at (509) 777-3796. The annual Hawaiian Club Lu'au draws about 800 Whitworth students, parents, alumni, administrators and Spokane community members. Located in Spokane, Wash., Whitworth is a private liberal arts university affiliated with the Presbyterian Church (USA). The university, which has an enrollment of nearly 3,000 students, offers 60 undergraduate and graduate programs. Stacey Martin, Hawaiian Club president, Whitworth University, smartin12@my.whitworth.edu.